Yappy Hour at the River Styx for the Dog Park! 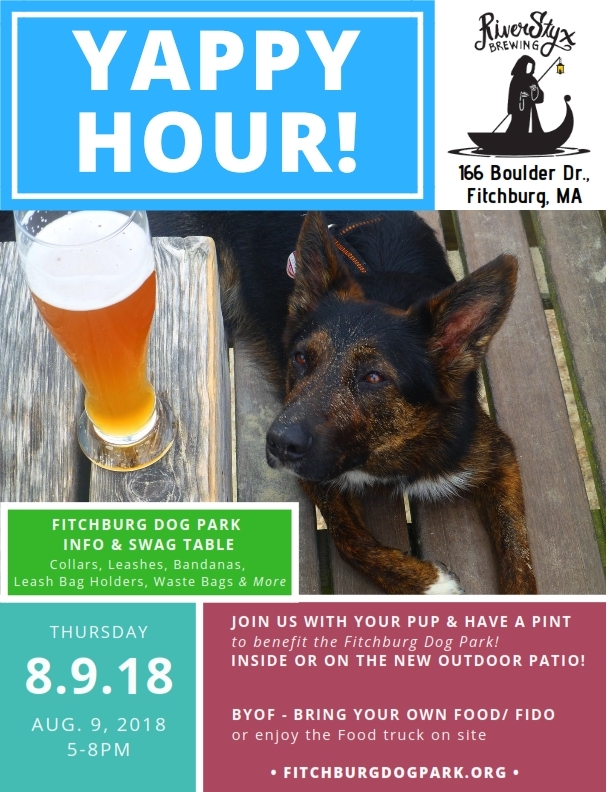 to benefit the Fitchburg Dog Park! INSIDE OR ON THE NEW OUTDOOR PATIO! Pups for Pints in benefit of our furry friends new playpark, thanks and invite your friends! 4/24 Dog Park 99 Dining to Donate night! Dog Park Grand Opening Celebration on National Dog Day!